The UK is to support the EU military training mission to Mali by providing up to 40 British personnel either in a headquarters or training team role. 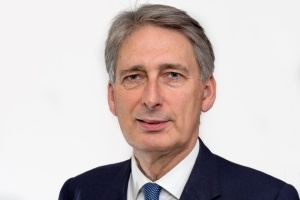 In response to an urgent question in the House of Commons, Defence Secretary Philip Hammond said that it is possible that all 40 personnel will not be required, dependent on the contributions from other EU member states, to be agreed in Brussels later today. Mr Hammond also said that the UK will offer £5 million for 2 new UN funds to support the strengthening of security in Mali. £3 million of this would be directed to the African-led intervention force (AFISMA) and £2 million to activity in Mali that would facilitate and support political processes for building stability. He confirmed that the UK is also prepared to offer up to 200 personnel to provide training to troops from Anglophone West African countries contributing to AFISMA, though the numbers required will be dependent upon the requirements of the AFISMA-contributing nations. In addition, the UK has deployed a small number of advisers to Anglophone West African countries who will contribute to the AFISMA mission to assess their needs and to gain situational awareness. The UK will continue to provide 1 C-17 transport plane in support of France for a further 3 months. There are currently around 20 people deployed in Bamako supporting liaison with French forces and, following a French request for additional surveillance support, the UK has deployed a Sentinel R1 aircraft to Dakar, Senegal, with supporting ground crew and technical support amounting to around 70 people.